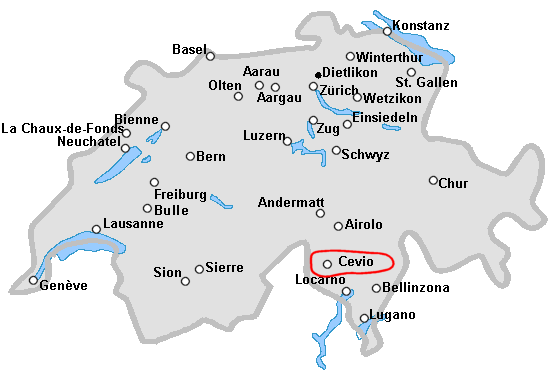 The next Swiss Juggling Convention 2105 will take place from the 25th to the 27th of September 2015 in the "Valle Maggia", in Cevio in Tessin (Ticino), the italian part of Switzerland. From Friday the 25th to Sunday the 27 of September 2015. Via Cantonale 4, in the "Valle Maggia", 6675 Cevio in Tessin. Localisation of the Via Cantonale, 4 in Valle Maggia with GoogleMap. Localisation of the Via Cantonale, 4 in Valle Maggia, with OpenStreetMap. Copy and past these coordinates in "search", then press "Enter" or click "search". A camping will be at disposal on the site. Places will be available in a "Protection civile" bunker for 10.- CHF per night. Food will be sold on the juggling place. A breakfast will be organised. The participation at the festival is free. Dogs are not allowed in the halls. Participants must have their own insurance. 18:00, Welcoming the jugglers, opening of the juggling place. 21:30, open stage, free entrence. 22:00, Fire and light juggling. 16:00 "Business Meeting", discussion about the future. 17:00 End of the convention, closing and cleaning.